The basic ingredients of this cake are: ground almonds, eggs, sugar, lemon zest, and in the oldest recipes flour (although now it is not used). 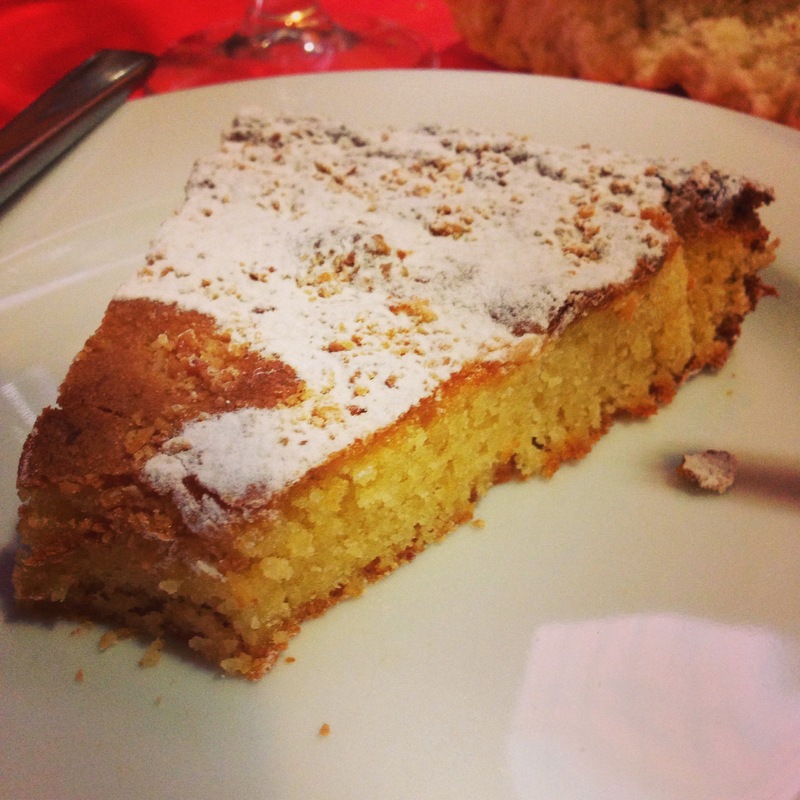 The oldest information about the production and consumption of this almond cake, today known as Tarta de Santiago, is somewhat vague as it was given a different name than the current one (torta real or almond cake). The name originated in 1577, in the context of the visit that Pedro de Portocarrero made to the University of Santiago, where it was recorded that torta real was served. Even though it does not have the same name, the production of this torta real with ground almonds, sugar, and eggs, baked in an oven and served in one piece or in individual portions, confirms the theory about the same dessert known today as the Tarta de Santiago. The first reliable information is one of the almond cake recipes found in the confectioner’s notebook that Luis Bartolomé de Leybar complied around 1838. It also included another recipe very similar but that called for covering the cake with powdered sugar, called almond cake. The origin of the cake is also unequivocally Galician is also due to the fact that this speciality did not appear in foreign culinary recipes until practically the twentieth century, which points to an important popularity in Galicia for this dessert and its integral gastronomic character and taste. In 1924, possibly in the interest to better serve his clients and make a quality product that at the same time proves appealing, José Mora Soto (founder of the Casa Moracuando in Santiago de Compostela) adorned his almond cakes with a silhouette of the Cross of Santiago. According to his descendants, he was seeking to give a distinct touch to a traditional product, typical of the city and a house speciality. This idea achieved a great success in uniting a traditional product like a cake to an unmistakable symbol of the city, the Cross of Santiago. The initiative was soon followed by others in Santiago de Compostela, and following the increasing popularity of this cake, it was spread throughout Galicia. The pilgrimage to Santiago via the different routes has brought many visitors to Galicia that has helped spread the knowledge of this typical product of Galician pastry-making outside its borders. Text translated from Viviendo experiencias.